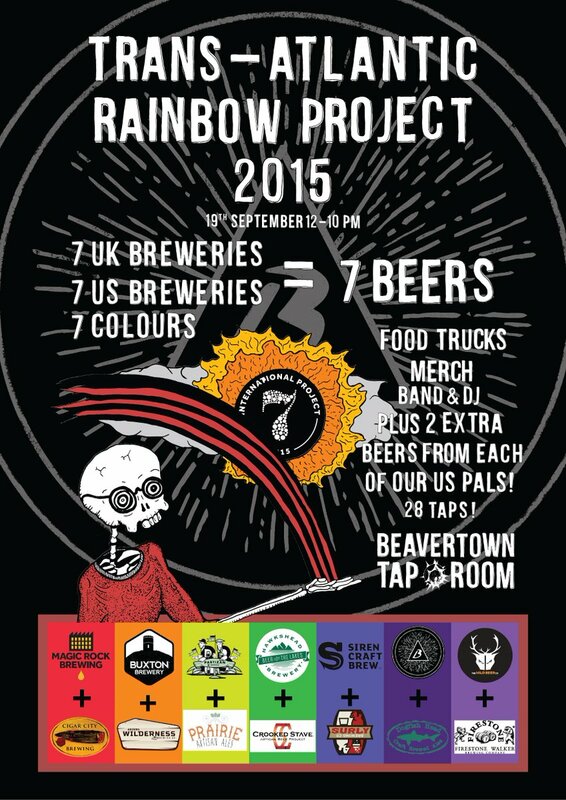 International Rainbow Project Southern Launch Event Hosted at Beavertown Tap Room Unit 17 and 18 Lockwood Industrial Park, Mill Mead Road, Tottenham Hale, London, N17 9QP. Saturday 19th September / 1PM - 9PM The Southern launch party will be held at Beavertown, with at least 28 beers on tap (including the 7 Rainbow Project beers), music from Keith Pearson’s Coup De Gras (a proper old school bluegrass band) and a DJ set from Texas Joe. Street food from: Prairie Fire BBQ, Hoxton Beach and Urban Chomp. More details: here. Tickets not required. International Rainbow Project Midlands Launch Event Hosted at Buxton Brewery Tap House George Street, Buxton, in the Old Court House. Saturday 19th September: The Main launch event with a special menu of rainbow themed small plates prepared by the Tap House chef. 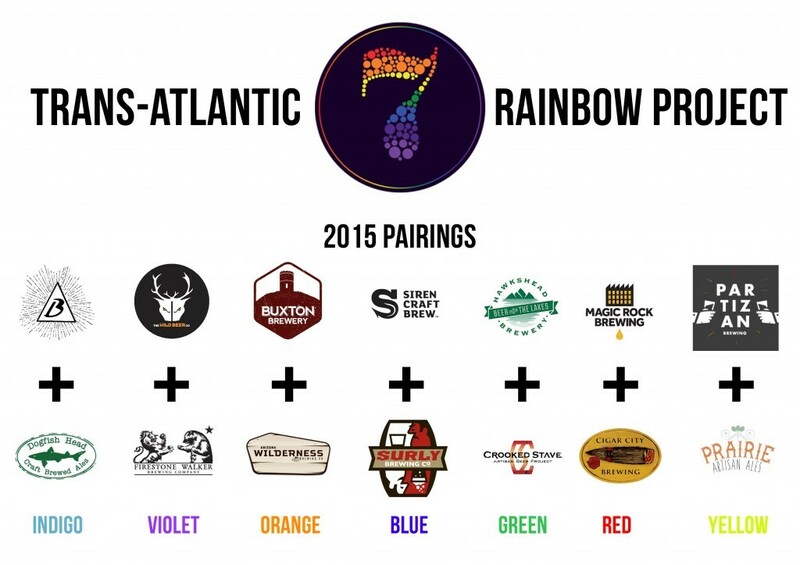 Sunday 20th September Buxton will be hosting a Tap Takeover and Meet The Brewer with their Rainbow Project partners Arizona Wilderness. International Rainbow Project Northern Launch Event Hosted at Magic Rock Tap Willow Park Business Centre, Willow Lane, Huddersfield. Saturday 19th September / 12pm - 10pm For the Northern launch of the Rainbow Project, Magic Rock Tap will be hosting all seven rainbow beers on tap PLUS two beers from all the US brewers and an extra beer from the UK brewers, so there will be TWENTY EIGHT BEERS on tap for you to choose from, this will be a ticketed event, limited to 500 places. Street food from : Yorkshire Pizza Kitchen, Yorkshire Pit and Mac Daddies. More details available here on the Magic Rock Blog. £10 advance via Eventbrite (+ Booking fee) / Includes entrance to the event + commemorative glass + seven tokens. Tickets are now sold out, but 50 will be made available on the door. Any other Rainbow Project events will be announced here in due course. We hope to see you at one of them! Keep up-to-date on Twitter using the hashtag #RainbowProject.